Reduced use of straws and other plastic has been highly encouraged over the past few years. 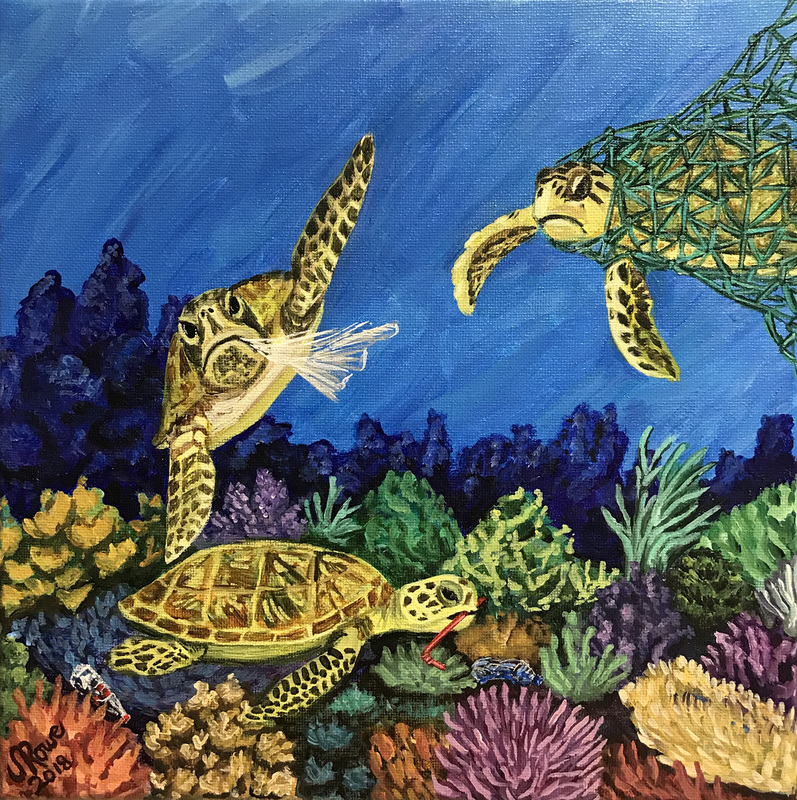 Part of an addendum to the Shiny Beautiful Things series, these sea turtles have convened on the reef for a less than desirable snack. Measures 10″ W x 10 ” H, acrylic on canvas, unframed, but wired to hang.